Maharashtra Jyotirlinga Tour with Shirdi is best for you. This 5 Days / 4 Nights tour package takes you to the famous Jyotilingas Temples in Maharashtra. The tour package covers destinations like Mumbai, Bhimashankar, Shirdi, Shani Shingnapur, Trimbakeshwar and Grishneshwar. With this tour, you can ensure yourself with a comfortable and hassle-free visit to the Jyotirlingas. Visit to Gateway of India and Shree Siddhivinayak Temple. Rooms are subject to availability at the time of booking as per the availability of the hotels, the quotation may change, kindly note the same. All transfers and sightseeing arrangements by Innova A/C as per itinerary. All applicable taxes.Any other services or food which are not mentioned in the above "Includes" section. On your arrival in Mumbai Airport meet our tour representative who further escorts you to your pre-booked hotel. Check-in and relax in your hotel. Rest of the time is to be spent at leisure have dinner and stay overnight. Later, step out to enjoy sightseeing around this beautiful place. You can begin by visiting Shree Siddhivinayak Temple to seek the blessings of Lord Ganesha. After this, visit the Gateway of India, Marine Drive, Colaba Market and Prince of Wales Museum. Return to the hotel after this long day of sightseeing and have a comfortable overnight stay. of holiest Jyotirlinga out of the 12 Jyotirlinga of Shiva’s. The temple is set amid the backdrop of greenery. Return to the hotel after this long day of sightseeing and have a comfortable overnight stay. On reaching Shirdi, visit Samadhi Mandir, Khandoba Temple and Shri Sai Baba Sansthan Complex. Later, drive towards Shani Shingnapur which is 65 km from Shirdi. The place is believed to be the home of Lord Shaneshwara who is known to be the personification of the planet Saturn. Visit the temple and pay homage to Lord Shanidev. In the evening, you can leave for Trimbakeshwar, which is 174 km from Shani Shingnapur. Return to the hotel after this long day of sightseeing and have a comfortable overnight stay. Munch your breakfast early in the morning and then leave for Mahabaleshwar. Later, drive towards Shani Shingnapur which is 65 km from Shirdi. The place is believed to be the home of Lord Shaneshwara who is known to be the personification of the planet Saturn. Visit the temple and pay homage to Lord Shanidev . Then head towards Mahabaleshwar. On arrival, check in at one of listed hotels. After this long day of sightseeing and have a comfortable overnight stay. 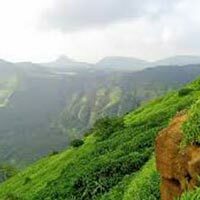 After your healthy breakfast proceed to for the sightseeing of located high up in the Western Ghats, the hill station of Mahabaleshwar sits above one of the only evergreen forests in the country. A summer capital during the time of the British Raj, Mahabaleshwar boasts several attractions dating back to the period, including temples and government buildings. In an area known for its striking natural landscape, walks and rides up to various viewpoints remain among the most popular things to do in Mahabaleshwar. Return to the hotel after this long day of sightseeing and have a comfortable overnight stay. After your breakfast you visit to Mahabaleshwar for locat sightseening these are – Lodwick Point, Arthur's Seat, Babington Point, Wilson Point, Kate's Point, Bombay Point (Sunset Point), Elephant's head Point, Lingamala Falls. Return to the hotel after this long day of sightseeing and have a comfortable overnight stay. Munch your breakfast early in the morning and then leave for Mahabaleshwar. 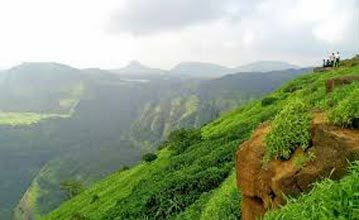 Panchgani is located at a distance of around 19 kms from Mahabaleshwar Panchgani is a hill station southeast of Mumbai in India’s Maharashtra state. It’s known for the Table Land, a huge volcanic plateau. Lookouts like Sydney Point and Parsi Point offer views of Dhom Dam lake and Kamalgad Fort, used as a prison by the British in the early 19th century. To the southeast, the Rajpuri Caves are surrounded by sacred ponds and contain a temple dedicated to the Hindu god Lord Kartikeya. Return to the hotel after this long day of sightseeing and have a comfortable overnight stay. Today morning, post breakfast check out from hotel and set off to explore this beautiful hill station. It has pleasant walks & good lookouts, and the area has interesting historical connections with Shivaji. it is also a popular hill station and splendidly located. Then head towards Lonavala. Return to the hotel after this long day of sightseeing and have a comfortable overnight stay. Today, after breakfast you will proceed to full day excursion at India’s one and only Theam park “Adlabs Imagica” and later in second half proceed to Lonavala visit Bhushi Dam, which is the most famous spot in the whole town. It is a perfect spot for the picnickers. There remarkable waterfall, near the dam, is also very famous spot. Then visit the Ryewood Park, which is also located to the Lonavala market and offers a great view. Return to the hotel after this long day of sightseeing and have a comfortable overnight stay. After Breakfast Proceed to Mumbai World famous City. Mumbai Sightseeing Mahalaxmi Temple, Boot House Girgaon Chow patty , Marina Drive, Oberoi hotel , Mantralya, Mumbai High Court. Return to the hotel after this long day of sightseeing and have a comfortable overnight stay. This is a day of goodbyes! After breakfast at the hotel, we will check-out from the hotel. Taking in the reverberating beauty of the beautiful Maharastra for the last time, we will drive to the airport / railway station. With the memories, experiences and photographs of a lifetime, this trip will draw to an end. We would love to hear your stories, and your feedback. Please write to us with anything you would want to share with us, as this keeps us motivated in our effort to provide beautiful holiday experiences to our lovely guests. Given quote is valid for minimum 2 (2 adults) paying persons only. Rooms mentioned in Munnar and Thekkady are Non A/C. Vehicle at disposable from 8 AM to 8 PM as per above itinerary. Any additional sightseeing will be charged extra. The food service at respective hotels depends on hotel occupancy. In case of low occupancy, a Set Menu for a fixed price will be provided by the hotel as per your chosen food plan.